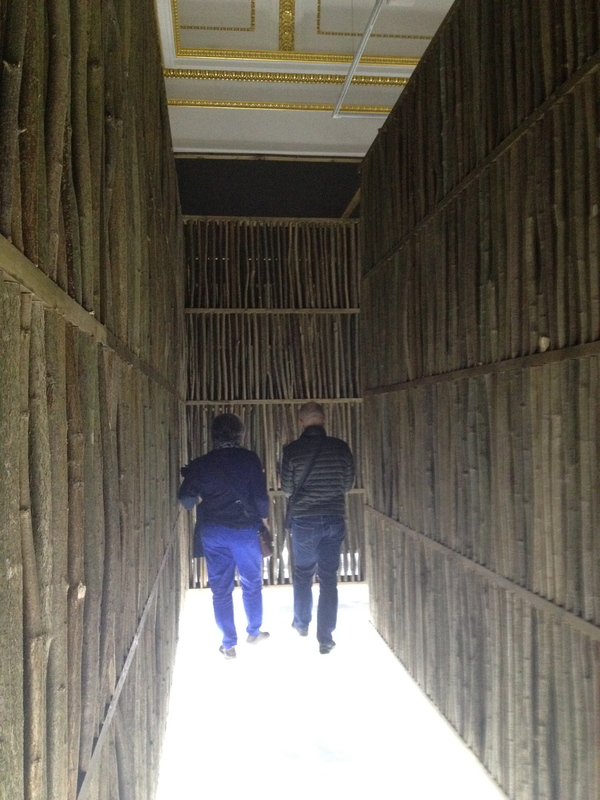 There is just a week left of the wonderful ‘Sensing Spaces, Architecture Re-imagined’ exhibition at the Royal Academy in London. 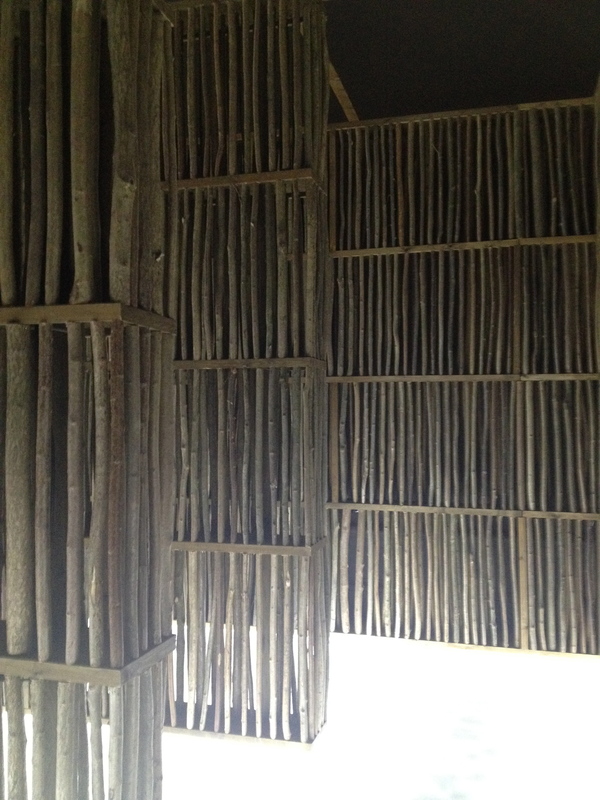 It is an uplifting, sensuous exhibition, featuring work by seven architectural practices from four different contintents. 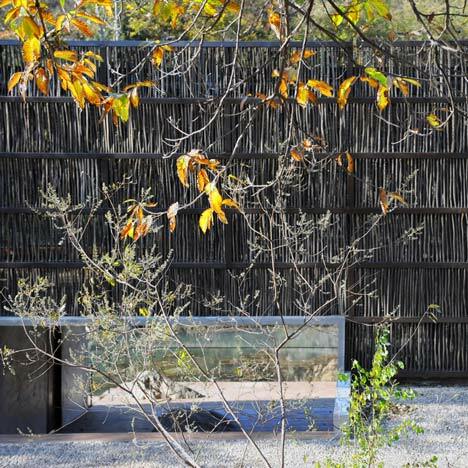 It does exactly what it sets out to do – delights and surprises the visitor and makes us think about thoughtful and innovative architecture in a way that feels personal and relevant to us. 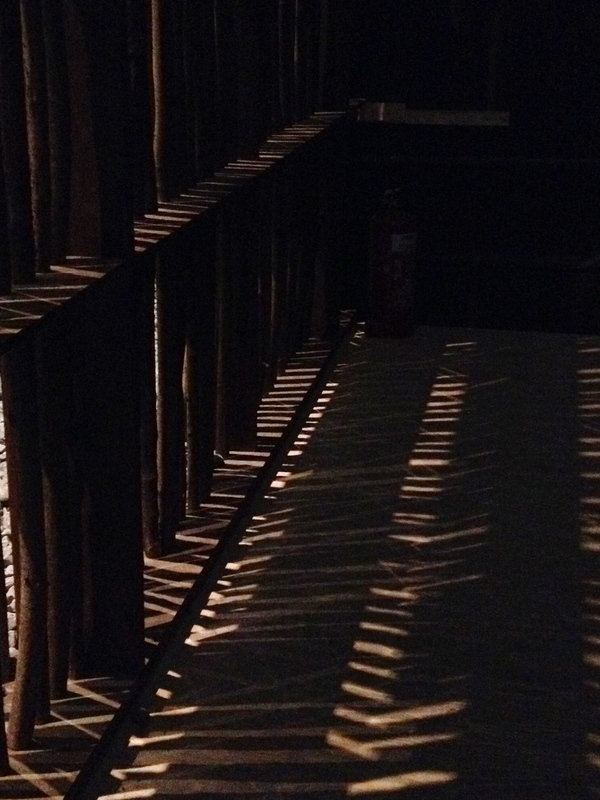 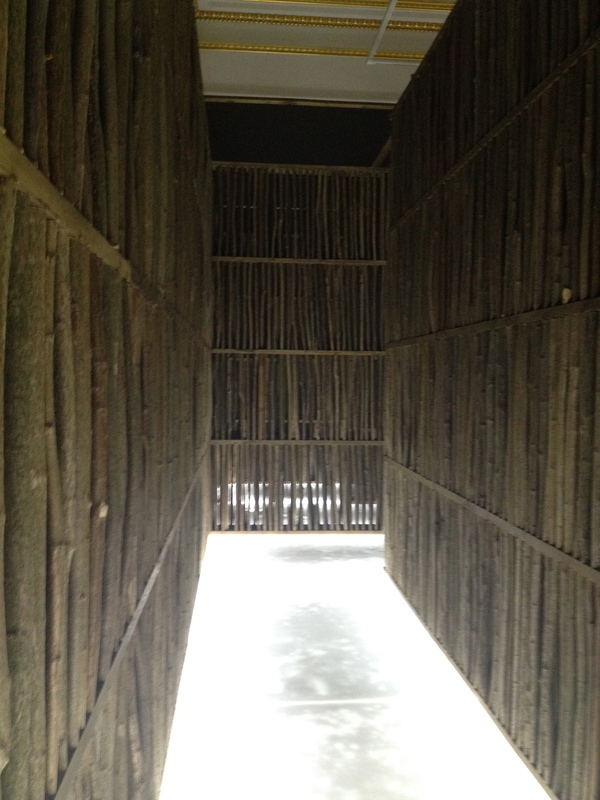 My absolute favourite installation is by Chinese architect, Li Xiaodong – it is a darkened, straight-sided maze built of elegant panels constructed from immaculately ranked coppiced hazel and it is tantalisingly lit by an illuminated white path. 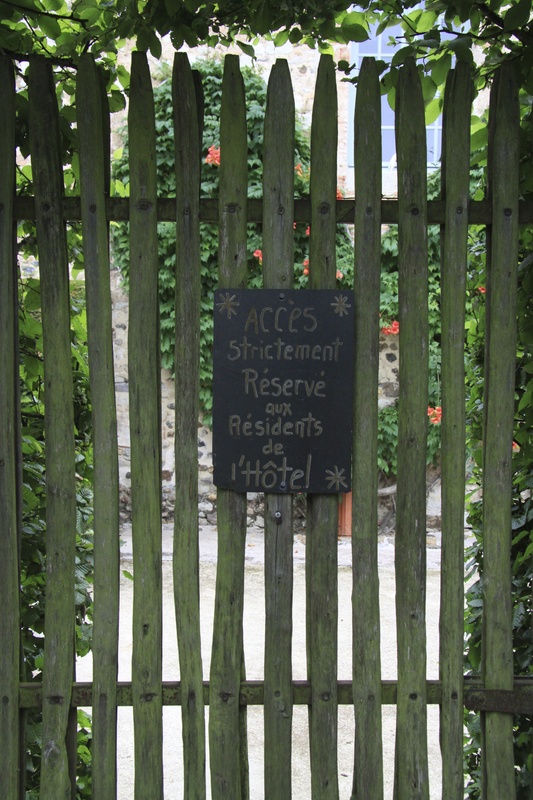 Here, the site for the library was deliberately chosen at the foot of the mountains, a five minute walk out of the village. 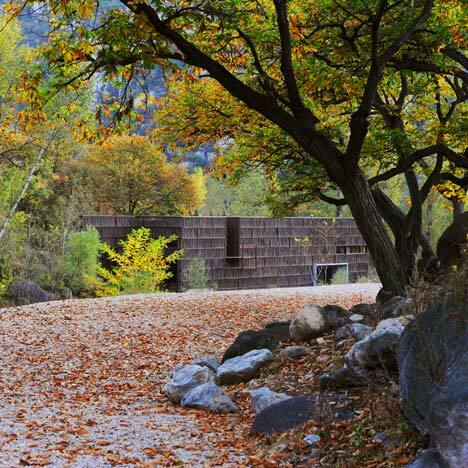 The idea is that the conscious effort to head for the reading room amongst this beautiful, rugged landscape helps clear thoughts. 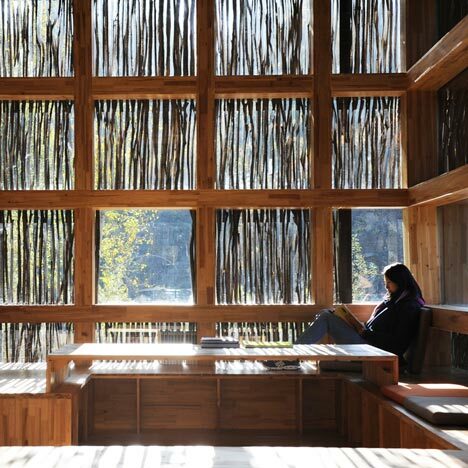 Inside the library openings frame the view beyond and ‘the wooden sticks temper the bright light and spread it evenly through the space to provide for a perfect reading ambience’ (Li Xioadong). 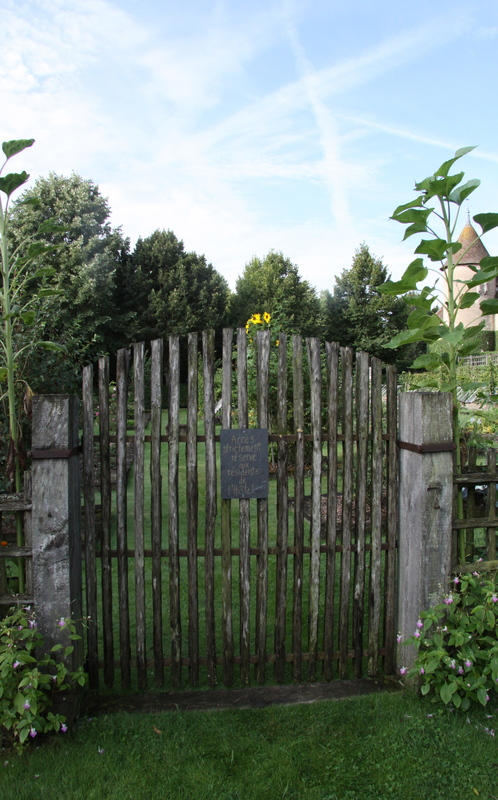 I long to visit it. 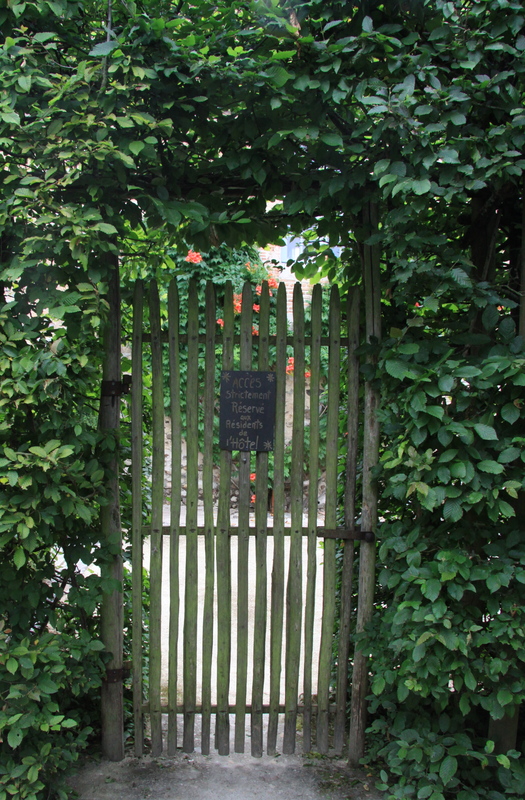 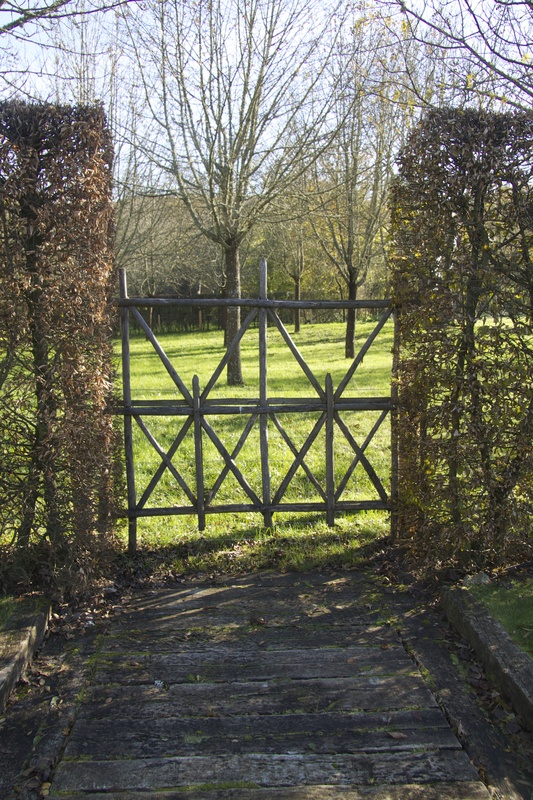 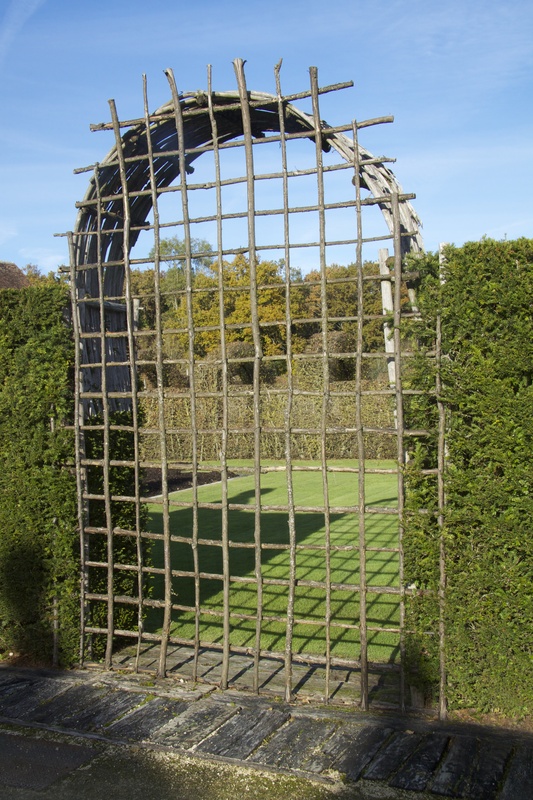 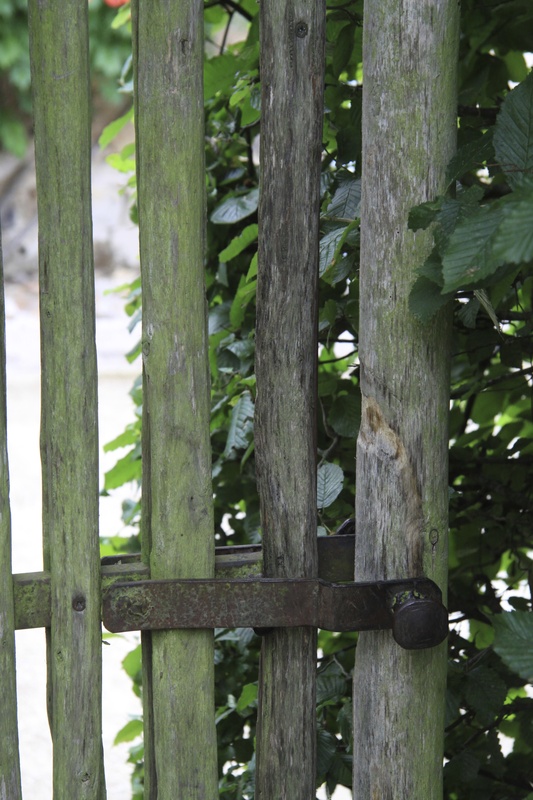 Back in the UK, I feel inspired to try at least to use coppiced wood in a more innovative, elegant way for gates, screening and garden buildings. 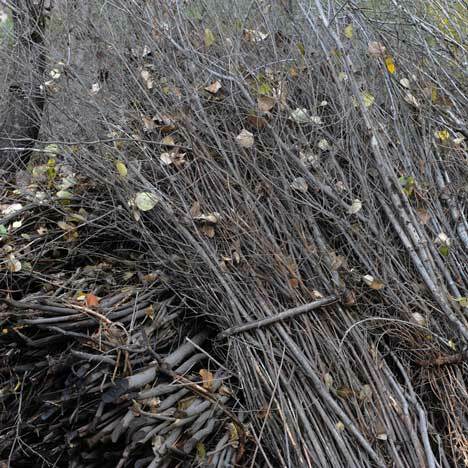 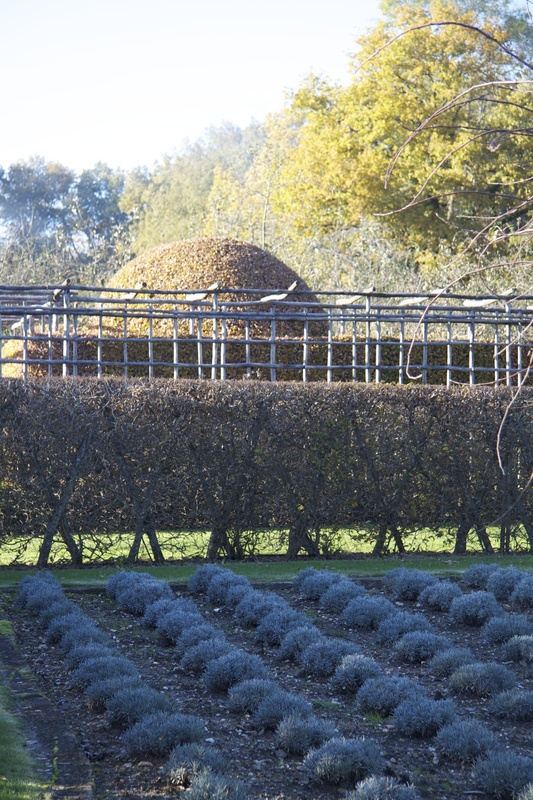 I touched on Patrice Taravella’s fantastically creative examples of working with coppiced chestnut in my December 2013 blog on The Prieuré D’Orsan in central France and in my feature on the garden in February edition of Gardens Illustrated. 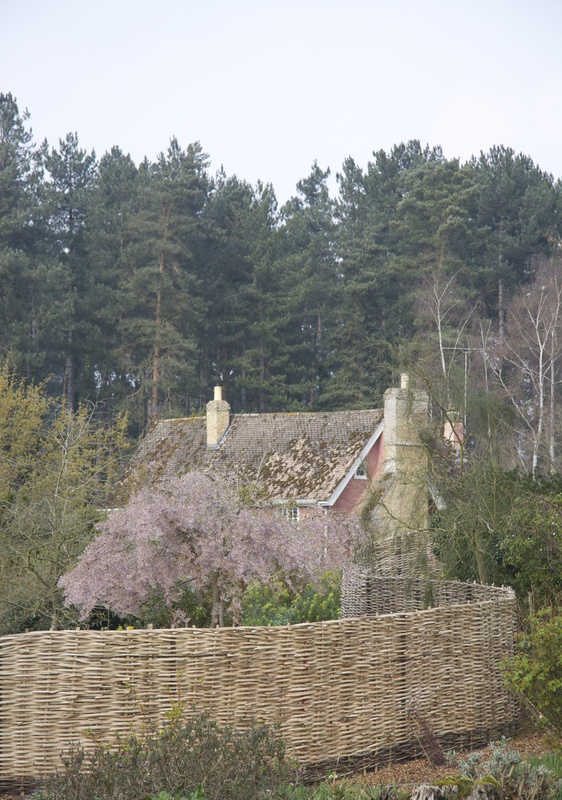 Here coppiced wood is used everywhere but always in a disciplined way – my horror is of the the Hobbit Movie ‘rustic’ use of coppiced wood to make supposedly charming curvy garden features which generally looked mismatched with everything else in the space. 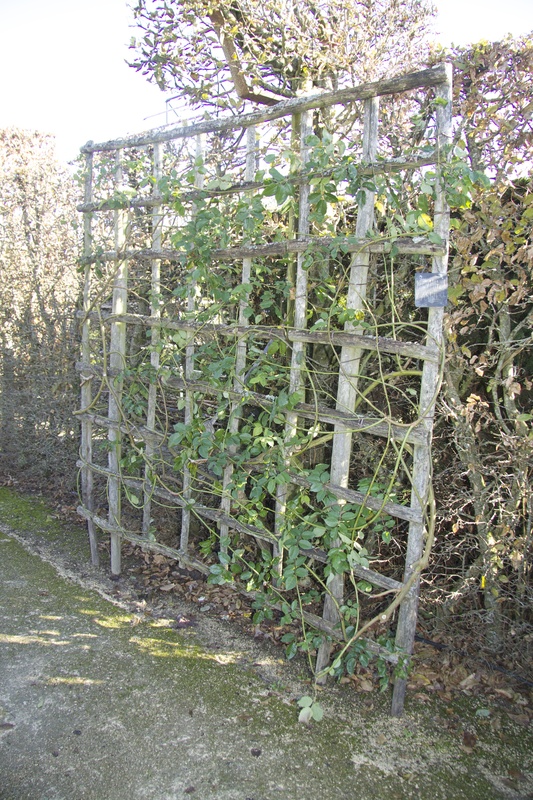 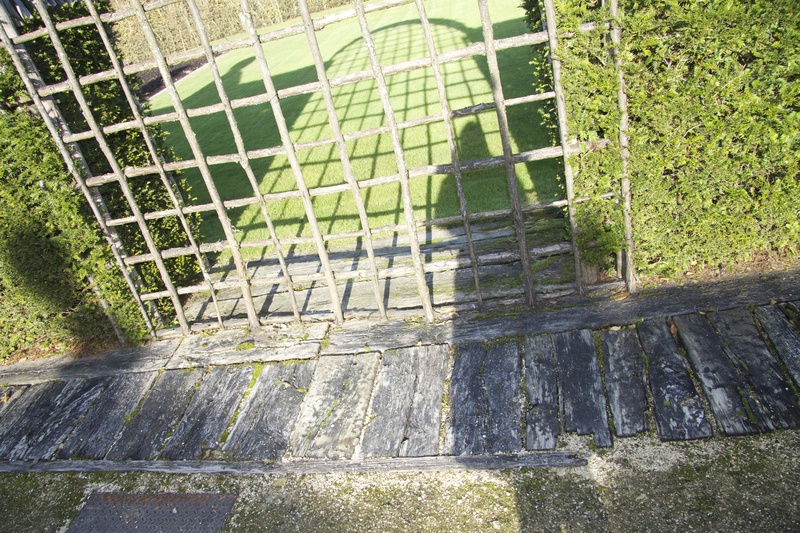 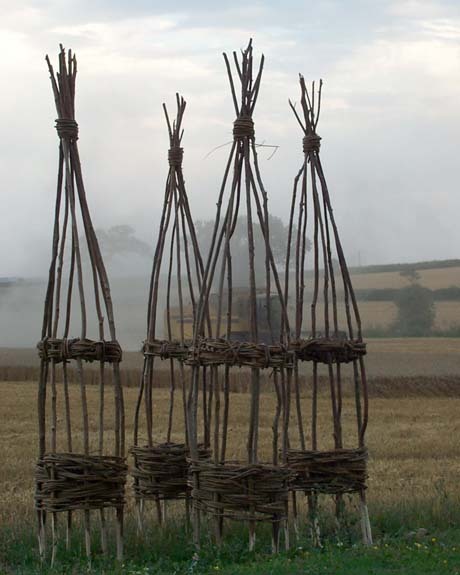 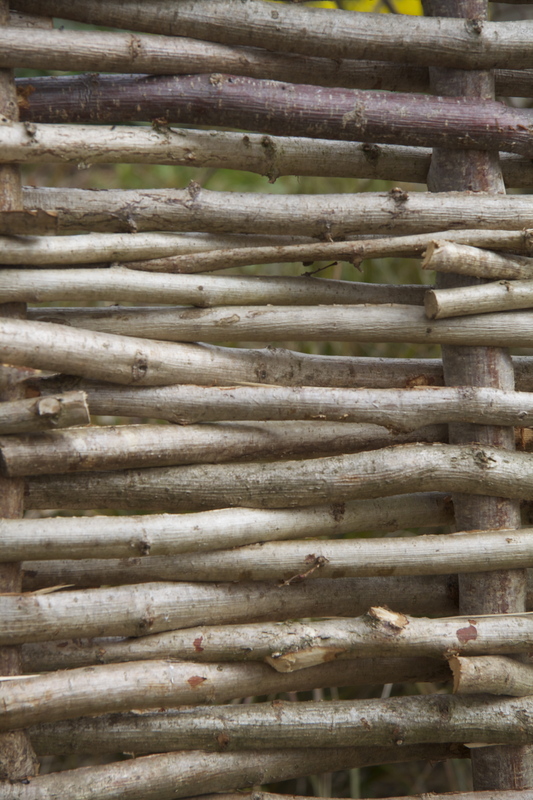 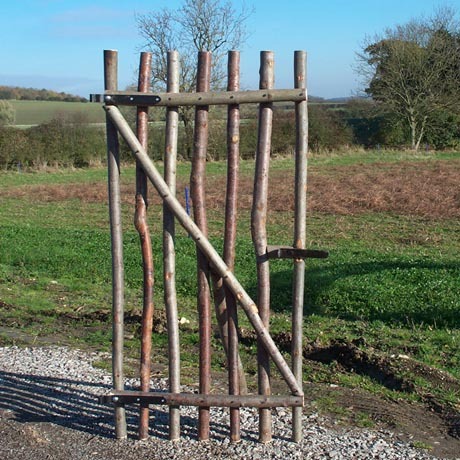 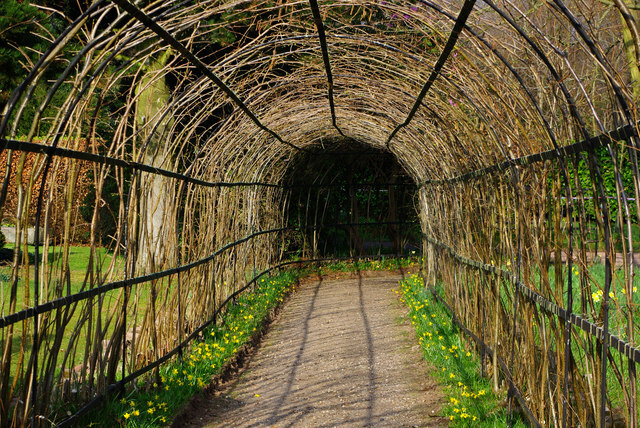 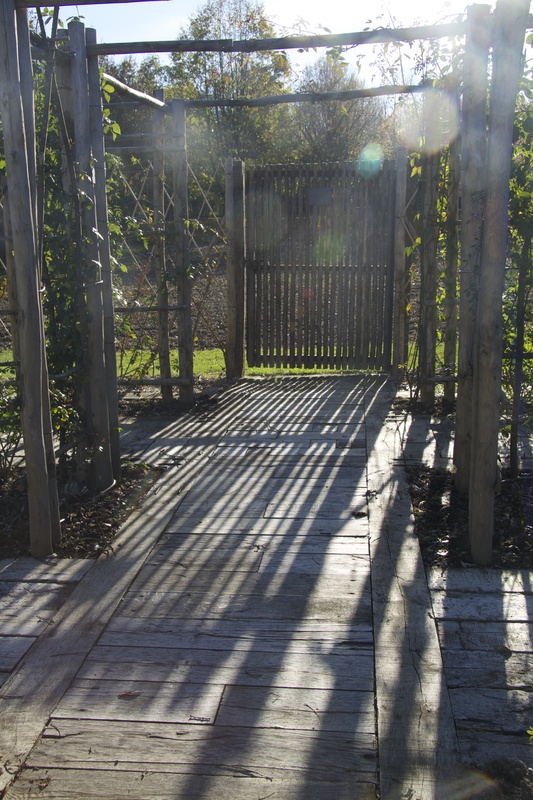 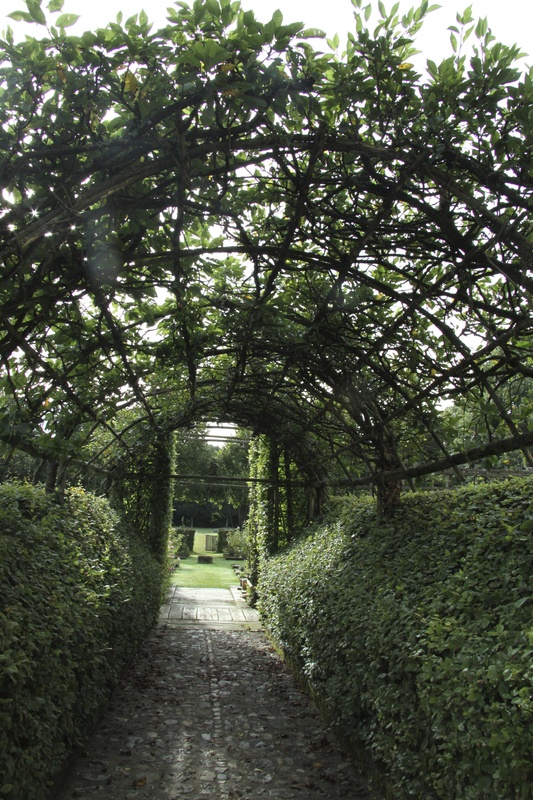 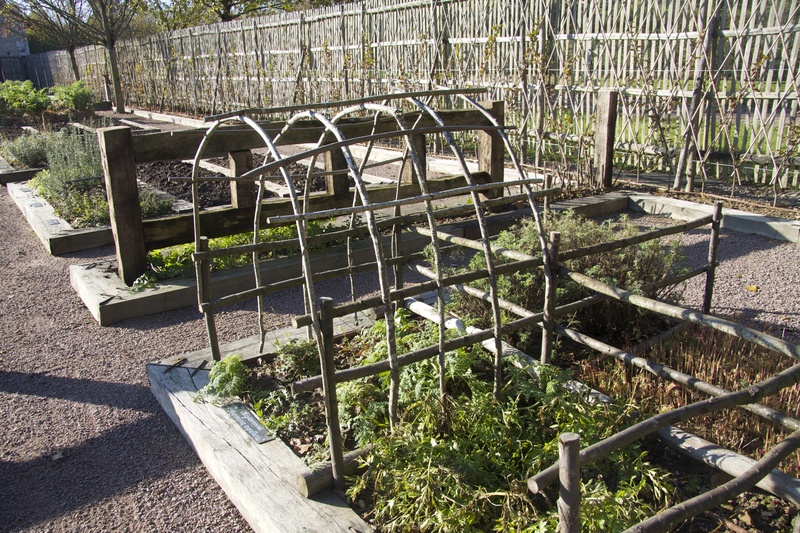 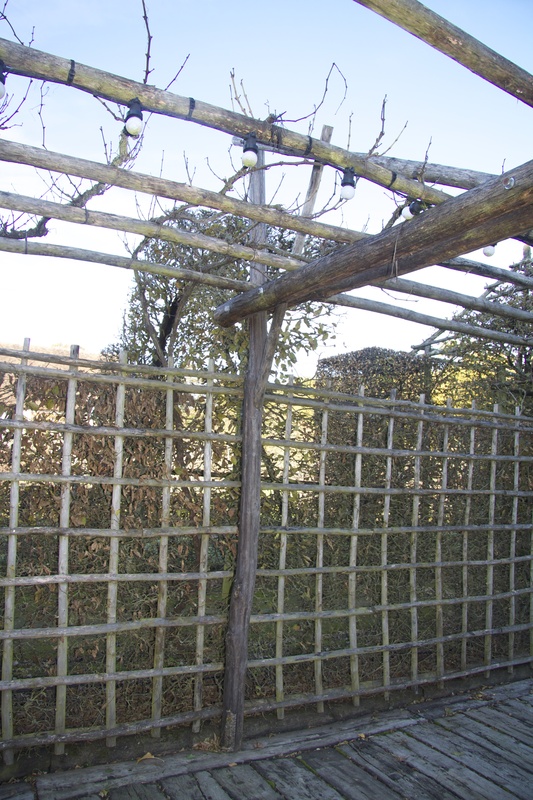 These plant supports are from Natural Fencing who already make a wide range of garden structures to commission. 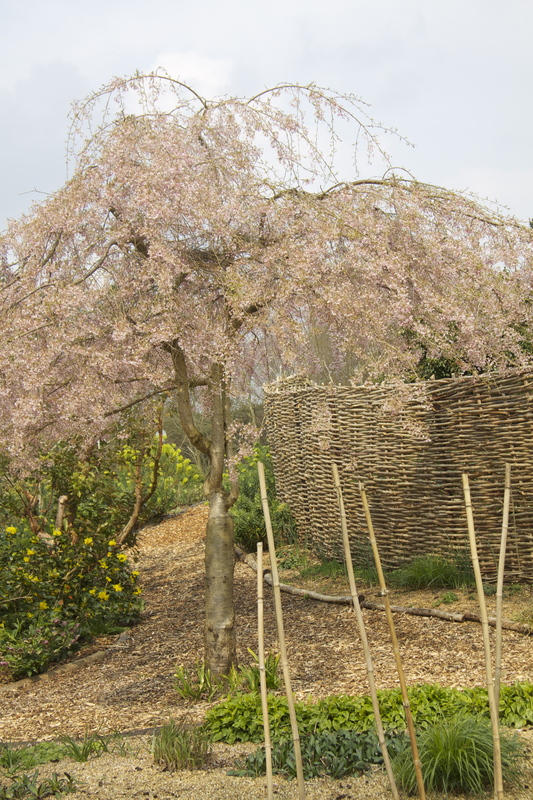 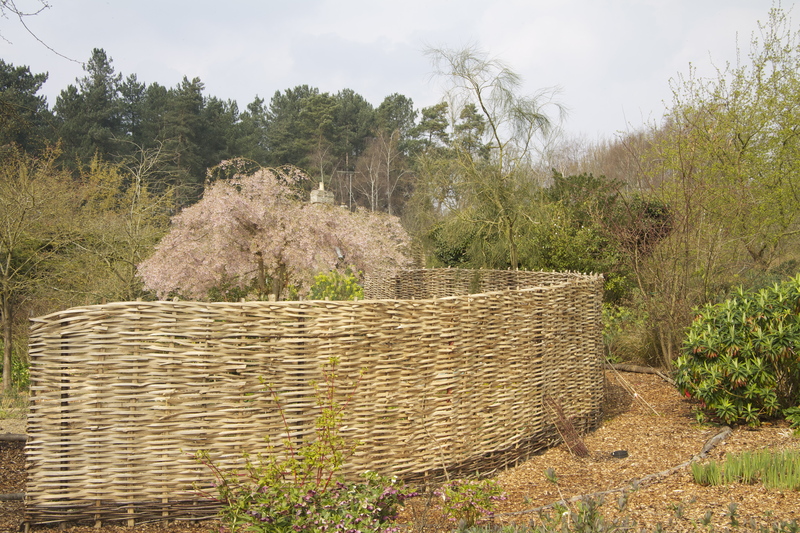 Now in the swing of looking at structures made from coppiced wood with fresh eyes, I was struck by the new and very beautiful hurdle fence at Fullers Mill Garden in Suffolk which I visited this week. 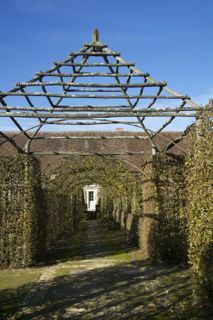 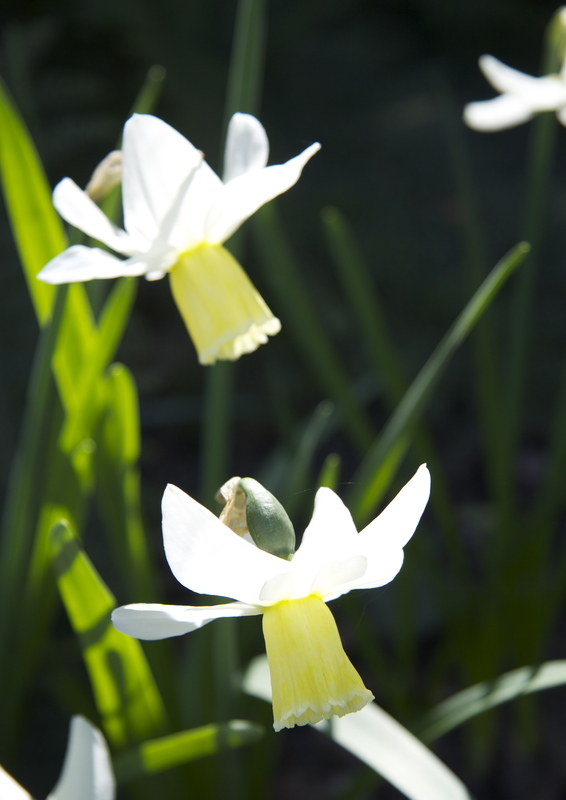 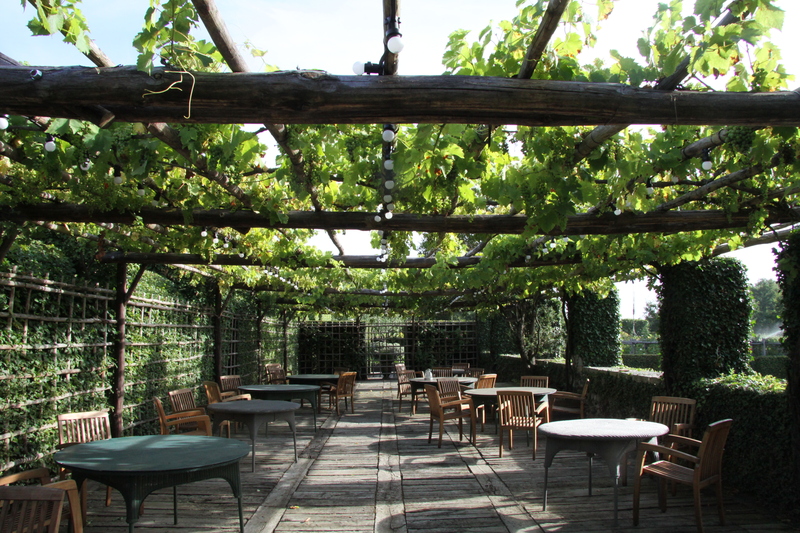 The garden will open again on April 2nd. 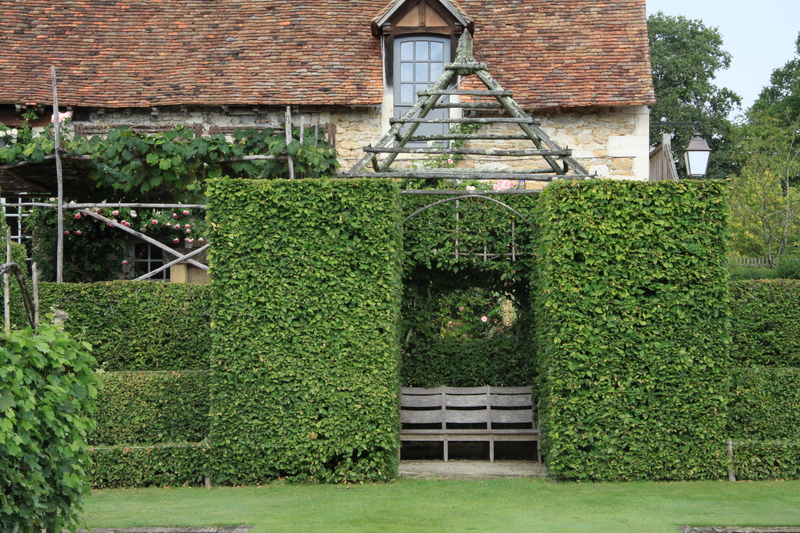 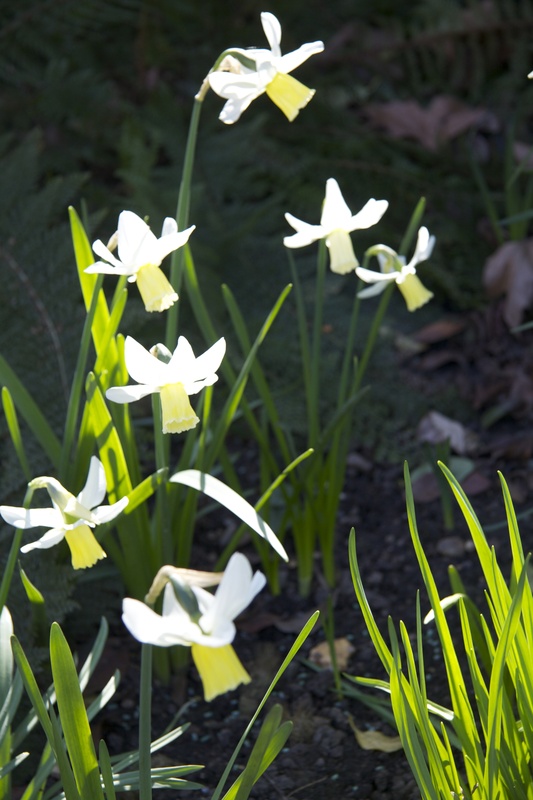 It sits easily and comfortably in the naturally flowing context this wonderful plantsman’s garden in the middle of the King’s Forest and should last for about twenty years. 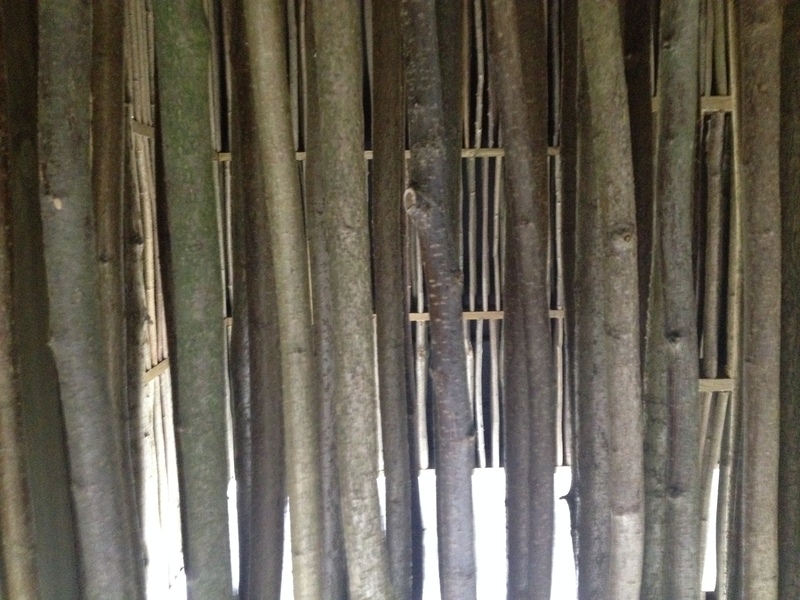 This entry was posted in Gardens and tagged coppice-products uk, COPPICED WOOD, David Downie, Dezeen, Fullers Mill Garden, Hazel tunnel, Le Prieuré D'Orsan, Li Xiaodong, Liyuan Library, Natural Fencing, Owen Wainwright, Patrice Taravella, Royal Academy, Sensing Spaces, The Guardian, Winterbourne Botanic Garden on March 29, 2014 by nonmorris.